The arrival of summer signals more than high temperatures and blue skies. For those of you who have school-age children, it also marks the beginning of their summer vacation. To make the most of summertime, many parents take their children to summer camps, frequent local pools or enroll the kids in town-organized summer activities. Read on for a taste of summer activities and places in the area around Treetops that your children are sure to enjoy. One of the best ways to ensure your children will have a great vacation is to enroll them in a summer camp. This helps them build stronger social networks, become aware of environmental issues, develop self confidence, and be more physically active — all in addition to having a great time. The Hollows Camp in Bradford offers two-week programs in a beautiful spot with a private lake and beach. Activities include riding, tennis, trampoline, mountain biking, archery, water sports, drama, and arts and crafts. Are the little ones interested in horses? Park Lane Ranch offers day camps focused on horse riding in Tottenham. Another popular option is the Nottawasaga Resort’s Summer Golf Camp, which provides children aged 6 to 12 with professional instruction, range time, mini-golf tournaments, rules and etiquette, swimming, and a pizza party after golf on Fridays. Full and half day camps are available. Another great option is to make the most of town-organized events and sessions that seek to entertain children while teaching them something useful. The Town of New Tecumseth’s 2012 Spring & Summer Guide allows you to locate all sorts of summer activities taking place in different areas, from Playball Soccer to the Overnight Program at Museum on the Boyne to swimming at the Alliston Rotary Pool. Also, don’t forget your local library — the New Tecumseth Public Library hosts special summer events for kids, featuring music, puppets, and reading sessions. Lastly, you can take your kids to the pool. Besides being a lot of fun, this option will provide your children with an opportunity to learn a very important skill if they don’t know how to swim yet. 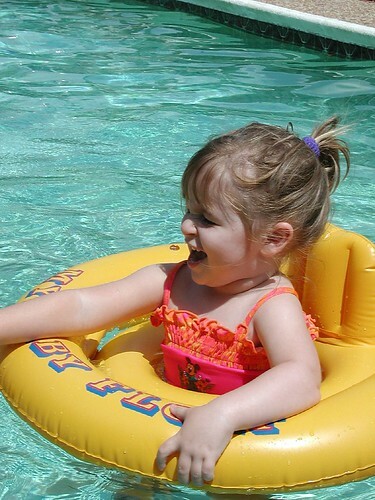 The Nottawasaga Resort offers public access for group, private and semi-private swim lessons this summer and throughout the year for all ages and skill levels including babies! While you’ll likely continue to take your kids to pools and summer camps, your family’s desire to make the most of outdoor activities and have fun will be easy to indulge at Treetops, thanks to seven kilometres of nature trails and 45 acres of forest. Together, these and other fantastic community features will make it easy for your kids to have a fun summer adventure. What’s more, the Treetops Park will offer beach volleyball, a playground, a splash pad, an amphitheatre, a playground, a picnic area and more. Now it’s your turn: what do you and your family like to do in the summer?